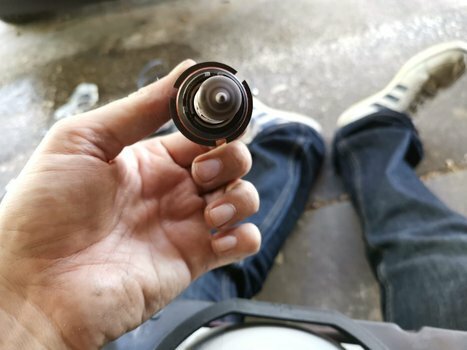 Replacing the headlights in the Volvo 240 is a snap - you don't even need any tools. This how-to was for my 1993 240, however I believe this should cover any 1986+ 240. Pop open the hood release and open the hood. 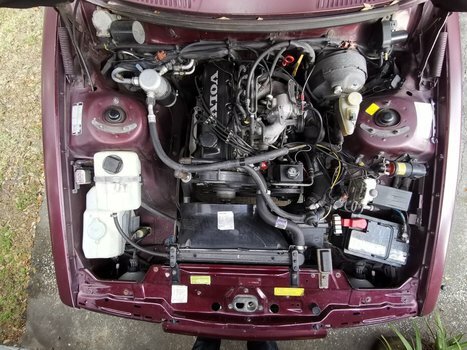 The bulbs should be easy to find - you can see the headlight assembly with the wires connected to it in the front of the engine bay. Depress the tab on the bulb housing, then pull the cable harness away. 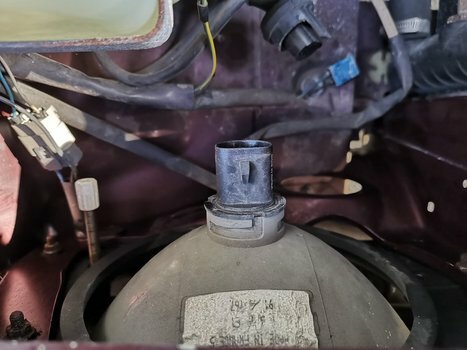 Now, pull the bulb housing out as well. Now the bulb is free! Now rotate the bulb out of the plastic housing. 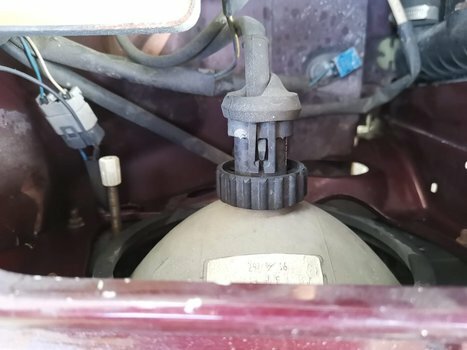 Insert the new bulb into the housing and rotate it back into place. Be careful not to touch the bulb glass - The oils from your skin can cause them to burn out prematurely. Use paper towels or gloves. Put the housing back into the headlight assembly. 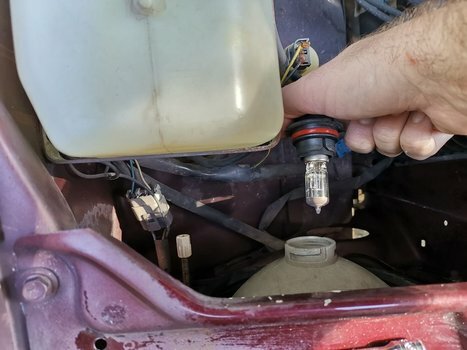 Reconnect the wiring harness to the bulb.